Today we have yet another post inspired by @vcmcguire (you can ask your own questions which will appear on the blog by tweeting @queryfreewriter or emailing jenn@allfreelancewriting.com). She wanted to know how freelance writers can make time for pitching their services to new prospects, especially when they already have a fairly full schedule. First let's talk about why you might want to keep marketing (or even directly pitching) your freelance writing services even if you have enough clients. Why Keep Pitching When Booked? No matter how many clients you have, and no matter how secure you think that work is, you should always be marketing your freelance writing services in some way. You know that I prefer a more passive, query-free approach where I make it easy for clients to find and contact me instead of me having to hunt down prospects. But what if you're still building your platform and it's not attracting a lot of prospects yet, or what if you just prefer the direct-pitch route? You should keep doing that too. You aren't happy with one or more of your current contracts, and you'd like to replace that work. You know a dry spell might be coming up in the near future, and you're trying to build a cushion of new work. You have reason to believe a client might leave (they've been unhappy with your work, you know the company is in financial trouble, etc.). You're trying to break into a new niche. Or perhaps a new market within your current niche (such as wanting to work with higher budget clients so you can raise your rates). You just want to keep your options open. If something great comes along, you'll take it. If not, it's no loss. Now let's talk about how you can make time to pitch new prospects with your writing services, no matter how busy you currently are. I'd suggest that there's one really important thing in this process. And that is to keep it small. If you start off by immediately pitching big service packages, you put yourself in a difficult position. Either you won't have time for the work and you'll have to pass on it (or burn out trying to complete it), or you'll have to drop another project or client to make room for the new one. Now if your plan is to increase rates, you'll have to do that eventually if your current clients can't pay the higher rates. But you probably want to be a bit more cautious when initially making the change. The absolute last thing you want to do is drop an old client because you pitched a new one, only to find out that things aren't going to work out with the new client. Then you lose both. I would suggest keeping initial projects small until you and the newer client are comfortable enough in your working relationship that you know it's going to turn into a long-term regular deal. Choose a single service you could pitch to multiple prospects. For example, you might offer basic proofreading and minor edits of each clients' website. You save time by not having to heavily customize each offer before pitching, and it allows you to stay specialized. Narrow down the target prospects. You can save even more time in your pitching by targeting very similar sites, publications, or companies. If they target the same audiences, your pitch style and audience background research won't have to vary quite so much. Cut back on other marketing. Chances are good that you're probably marketing yourself in some way even if your schedule is full. Maybe you update your own blog or comment on other people's blogs. Perhaps you spend time on Twitter, Facebook, or another social media site each day. You can't likely take time away from existing contracts to pitch services to new prospects. But you can "borrow" time from this other marketing activity. And let's be honest here. A lot of the time we spend using social media tools can be easily cut back if we really want to. If you want to land new opportunities, then you should really want to. You don't have to eliminate anything completely. Just check Twitter once that day instead of three or four times. Or let your blog comments go for a day while you put together your pitches. The world won't end. I promise. Use "outside" time. This is something I hate to suggest, and I really do think it should be a last resort. But if you're not doing anything that can be trimmed from your work schedule, you might have to look outside of that work schedule. Take one evening during the week each week to work on pitching until you have enough leads to be satisfied. Use that time to look for new prospects (as in search for companies that would be a good fit -- not necessarily ones that are currently advertising for writers -- those job boards will waste more time than they save). Also use it to put together service / package ideas and get pitches sent off. 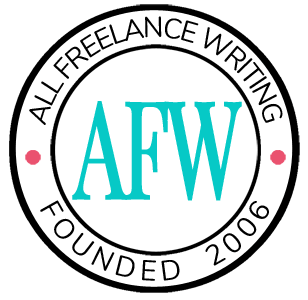 Do you pitch your freelance writing services even when you don't have much room to work with new clients? What are your reasons for doing so, and what tips would you offer other freelancers? Leave a comment below and tell us about it! Thanks for taking my post suggestion, Jenn. I’ve been struggling all summer to try to find time to make a website to market my services, and send pitches to editors I want to build a relationship with. This week I just had my first yes–an editor at a major paper I’ve been eying has assigned me an article, due a week from today. I’m thrilled, but now I have to figure out how to get it done on top of everything else! Anyway, thanks for the post, and I look forward to hearing other people’s comments. Great tips. I’ve always wondered about this problem myself. I hadn’t thought about taking on smaller projects. Sounds like something I’ll try! Thank you for the reminder! I think it’s time I start marketing and pitching again. I’ve been busy with a couple of projects and haven’t been marketing and pitching as much as I could be.